In what could be seen as the start of a presidential campaign, Russian Prime Minister Vladimir Putin reflected Friday on decisions he made that he said could have cost him his political career – and declared that the risk was always justified. He specifically referred to his response to the 1999 rebel attacks on Dagestan led by the notorious Chechen warlord Shamil Basayev. Militants headed by Basayev and Saudi-born Ibn Al-Khattab attacked Dagestan in August-September 1999. Hundreds of people were killed in the subsequent fighting, a precursor to the second Chechen war. “Unless I took resolute and tough action, the country would have fallen apart,” he said during a working visit to one of Russia’s biggest steel makers, the Magnitogorsk Steel Plant. Putin said he acted in accordance with the country’s national interests, with no consideration of political expediency. Asked what he considered his most significant achievement in the past decade, Putin said a good deal had been done for the country but Russia had still a long way to go, specifically reduce poverty and ensure economic growth. “New tools, new people and new ideas are needed, deep modernization and innovation are needed to accelerate economic and social growth and strengthen the political foundations of our society,” Putin said. The prime minister also stressed the importance of professionalism and diplomacy. Putin’s comments come as analysts and ordinary Russians speculate who will run in next year’s presidential poll. President Dmitry Medvedev and Putin have made clear that one of them – and only one of them – will run in the presidential elections on March 11, 2012, but it is anyone’s guess as to which one. Vladimir Putin has given Russia’s farmers, blue-collar workers, soldiers, parents and retirees good reasons to want him back in the Kremlin… Many reasons that allow Russians to believe there not yet done with Vladimir Putin. In a four-hour nationally televised appearance, the prime minister said not a word last week about his plans for next year’s presidential election. The topic has been a subject of fervent debate in recent weeks as President Dmitry Medvedev has shown a desire to stay on for another term. But by portraying himself as the defender of a strong Russia and making a string of campaign like promises to improve the lives of ordinary people, Mr. Putin sent an unmistakable signal that he intends to reclaim the presidency. “The nation needs decades of stable and calm development without any sharp movements and ill-conceived experiments” based on liberal policy, Mr. Putin, 58, said during his annual address before parliament. 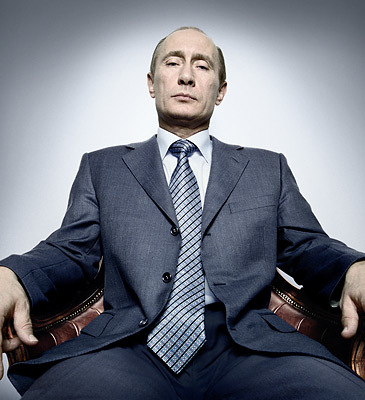 Mr. Putin, Russia’s president from 2000 to 2008, was barred by the constitution from serving a third consecutive term and groomed Mr. Medvedev to succeed him. Both men have said they will decide together which one of them will run in March 2012, but the decision is understood to be Mr. Putin’s. The uncertainty seems to suit both of them. The debate over which one will run serves to stimulate interest in the election by creating a pretense of political competition. The uncertainty, which leaves open the possibility that Mr. Medvedev will remain in the Kremlin, also helps him carry out the mission that Mr. Putin set for him and encourages those in the West who have worked to improve relations with Russia. Mr. Putin chose the tech-savvy Mr. Medvedev, 13 years his junior, to lead the drive to modernize the Russian economy, still based largely on exports of oil and gas, and tackle spiraling corruption. Mr. Medvedev also presents a friendlier face to the West, as Russia seeks to attract much-needed foreign investment. Mr. Medvedev’s liberal pronouncements have helped to bring back on board the business community and educated urban elite, who had become disillusioned with Mr. Putin as he established greater state control over the economy and politics.